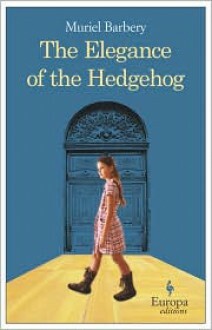 An enchanting New York Times and international bestseller about life, art, literature, philosophy, culture, class, privilege, and power, seen through the eyes of a 54-year old French concierge and a precocious but troubled 12-year-old girl. A moving, funny, triumphant novel that exalts the quiet victories of the inconspicuous among us. I was listening the first 3 chapters of the audio book and just couldn't continue. The concierge character was bearable, but the child, the spoiled annoying besserwisser brat... I just couldn't go on. May be some other time.